This is a guest post article that is being shared by Alyssa Winters at www.topreveal.com. I will be giving some of my DIY input as well to make a collaborative read. – Enjoy! I completely agree with her as of late I have been doing several DIY youtube videos trying to save home owners a buck or two. Contractors can be super expense and if you have the time why not do-it-yourself, right? Agreed Alyssa. I have used corner cabinets not only to put my pots and pans in but for my canned goods and cleaning supplies and those odd ball kitchen gadgets. If you really have a tiny space, make use of your walls as well, like in this picture below. We will talk more on how to use your wall for extra space in tip #3. I so love this idea I know there are several posts about chalkboards now-a-days but it really does help me keep a constant reminder of what I need to buy at the grocery store by having a constant list in front of me. The beauty about chalkboards are that it has many uses like Alyssa mentioned above. Some of the other uses include house rules, daily quotes, weekly schedules and recipes. I have also seen chalkboards being added on the inside of a kitchen cabinet door where you can place a small message of love for your significant other. If you can, go for a spicer look and add a metallic trim to your chalkboard piece. Personally I hate knife blocks, I think they are bulky and take up way to much space. Along with hanging you knives on the wall, you can also hang them up along a peg board. 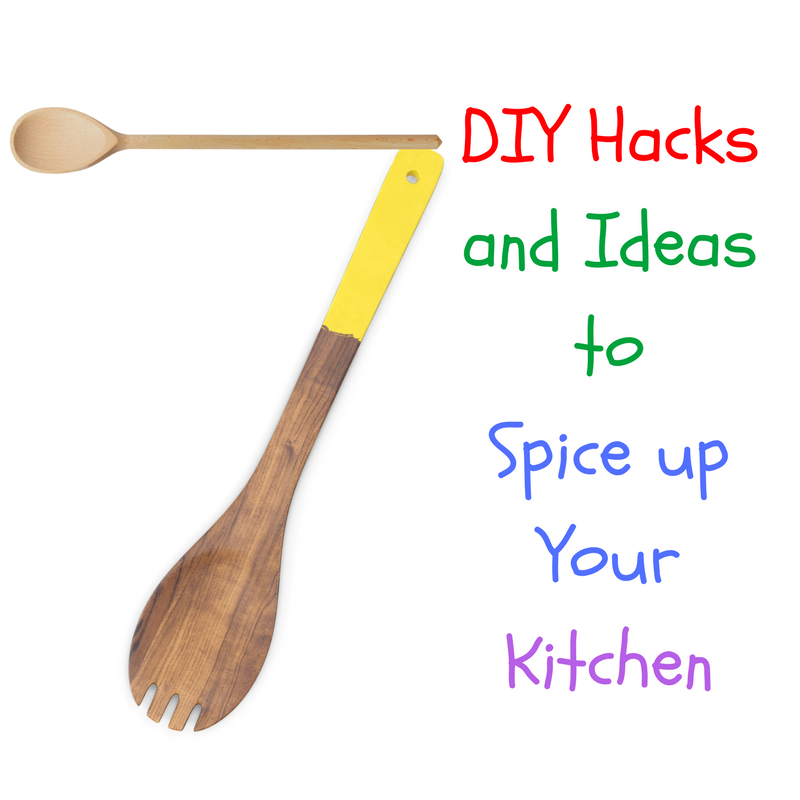 The decorology blog has a killer post on how to use a peg board for your kitchen. I love coffee in the morning. 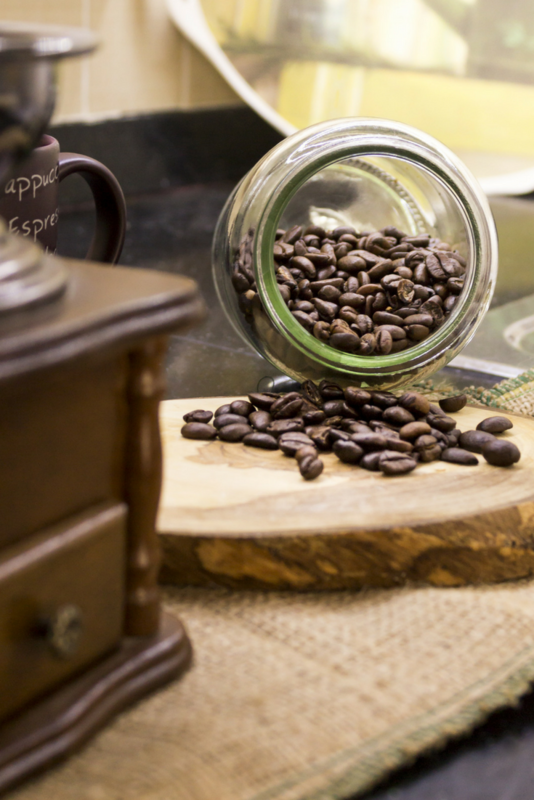 That’s one of my early morning rituals If you are going to make drinking, coffee a habit why not fall in love with your french press or espresso maker? Make that corner of your kitchen like a Zen area where you indulge and have fun in the creative process of creating your masterpiece. Just remember you corner coffee station doesn’t have to be a drag. Add a personal touch like a picture of your family with matching coffee machine frame. As they say out with the old in with new! 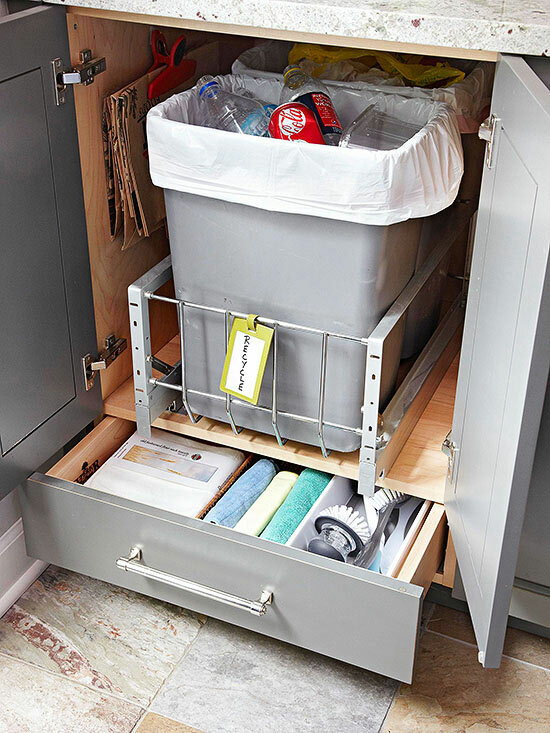 Make sure you declutter if you are trying to maximize your space. 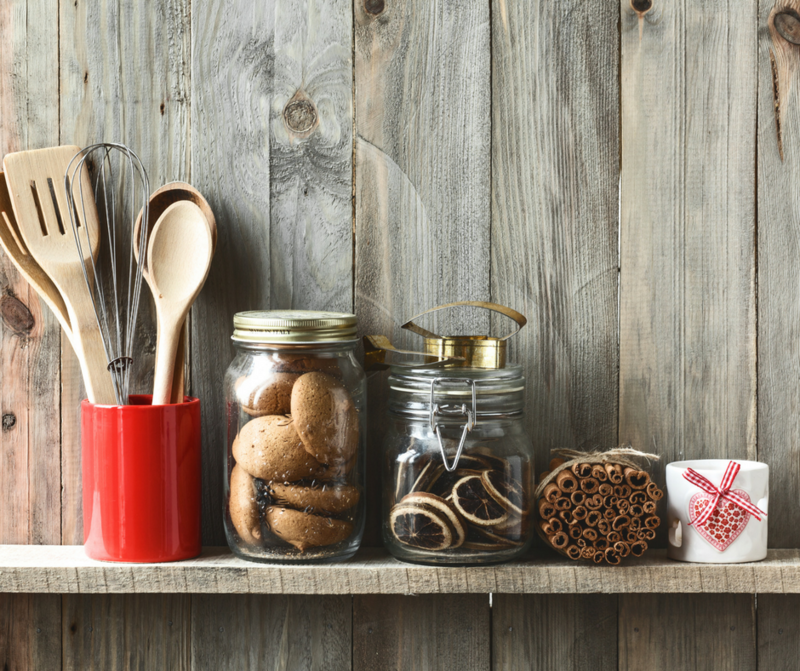 Even in smaller spaces, you can use under- shelf baskets: jars can be stacked. Be efficient in your space. If you can add another cabinet or create a built-in for your microwave or coffee makers. This is a great hack. I can’t tell you how many plastic bags I accumulate when I get home from the grocery store. I have also have tried, recycling bags but I always forget I have them in my trunk Duh! You can also use a plastic container and create a, plastic holder. The video below shows you how to do this in many different ways. I really love this idea, which will give a pop of a color to your kitchen. You can use nail polish and, that blue paint tape to get the perfect line, or you can just dip them in paint. If you have little ones this might be a fun project for you and your family. This easy and budget-friendly decoration might just be the last touch your kitchen needs. Simply add food coloring to the water in your vases and voila! You have your own beautiful piece in your kitchen. Just make sure you change them every two days. There are lots of ways you can do to remodel your kitchen that aren’t that costly. You just need your creativity and patience to work together and you are sure to get your dream kitchen. and gives advice about home appliances, kitchen gadgets, baby gears, and more. As a consumer advocate and mom she has years of experience testing equipment and recipes.